This end has clear CZ petals with a clear CZ center. 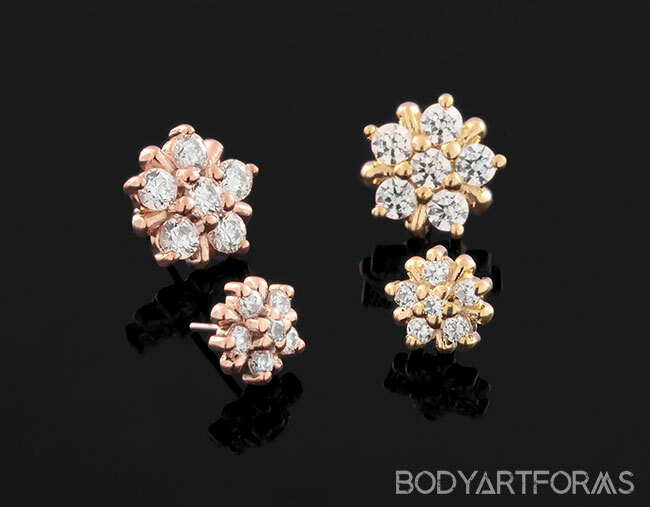 The settings are made with solid 14K yellow gold or rose gold. This Design is from Alchemy Adornments. 5mm diameter ends have 1.5mm gem inlays, and 7mm diameter ends have 3mm gems.